Sometimes IDing a car is the worst. My younger brother sent me a picture with a “hey, what’s this”. 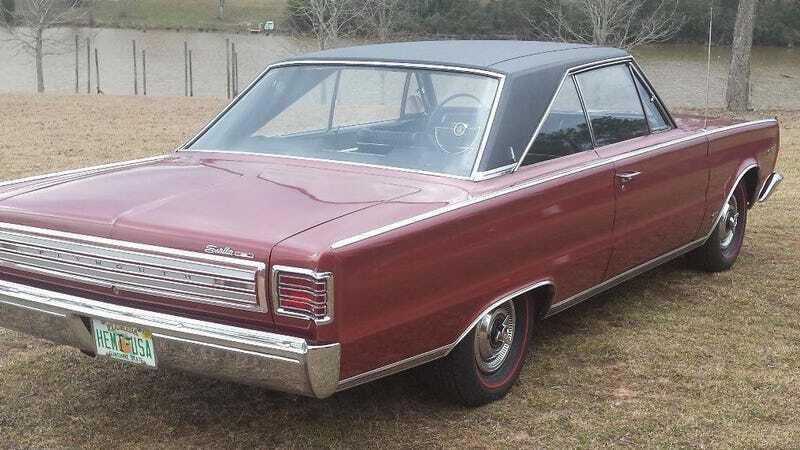 Picture, not the above, of a ‘66 Plymouth Satellite hardtop with a straight body and originally deluxe (factory vinyl stripped off) out in a yard rusting. In the leaves.